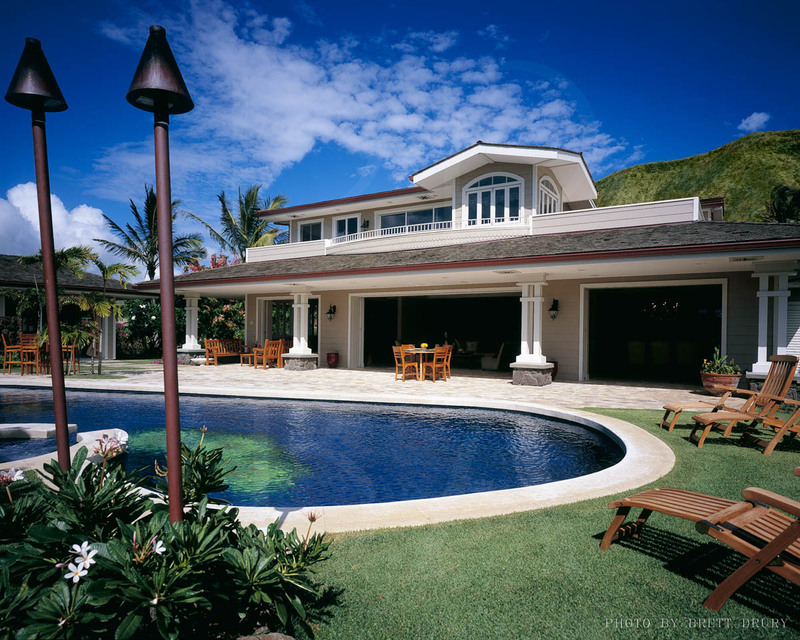 A Hawaiian Paradise entertaining retreat. Likened to The Lodge at Koele, an elite resort on Lanai, Hawaii and named one of the best places in the world by Conde Nast Traveller, this beautiful home combines “old world elegance and Hawaiian grace” just like The Lodge at Koele. 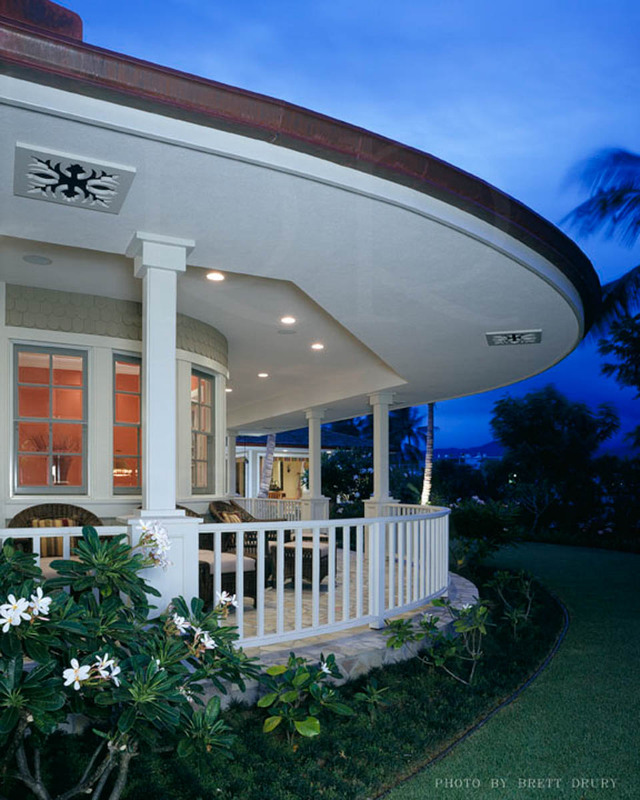 This Hawaiian resort was designed with the owner’s influence and Richard R. Bass Architects’ style to be a private estate within a park-like setting. The owner’s dream of capturing the famous Waikiki views for all to enjoy was achieved with a large wrap-around covered lanai and the gourmet cook’s kitchen is the focal point of the entire estate. 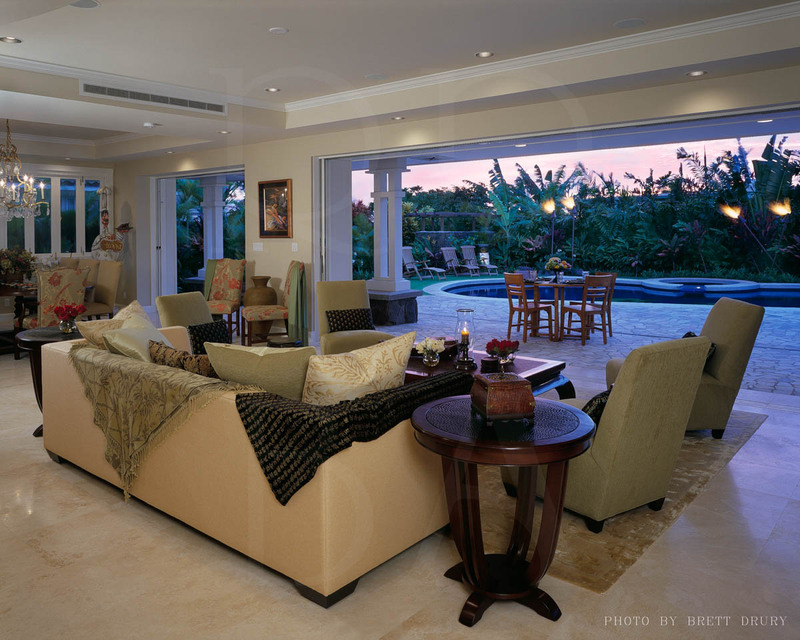 The floor plan was designed to allow the entire back of the residence to open to a large tiled pool, deck and guest retreat. 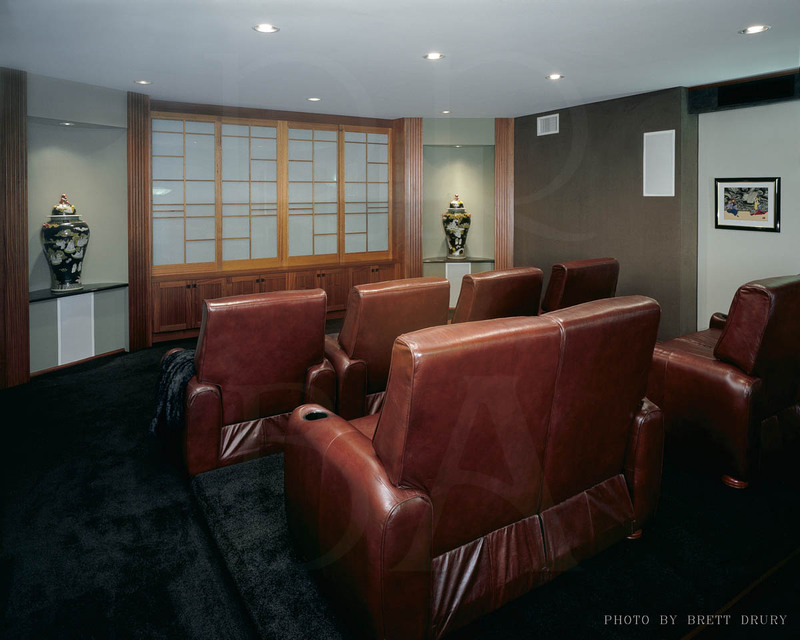 This residence was designed with privacy as a priority but created without obtrusive walls. 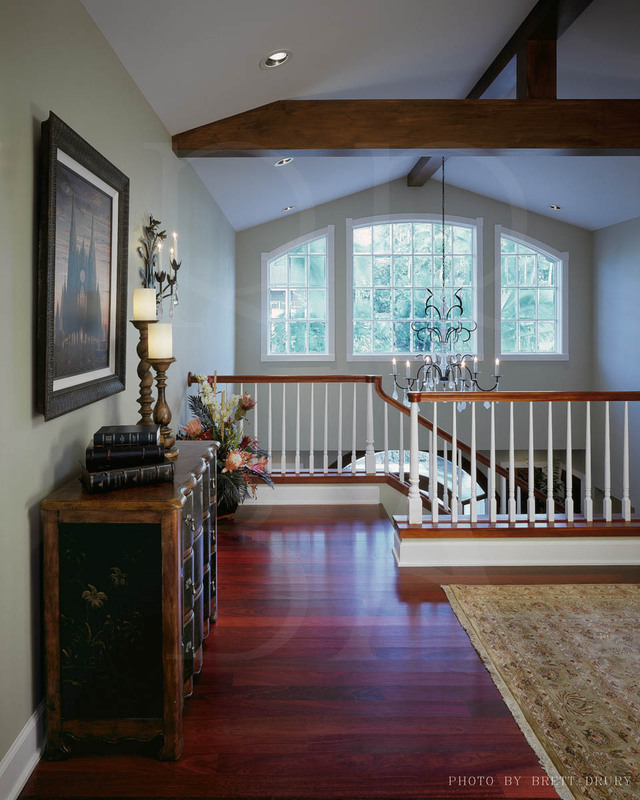 The detailing and wood finishes throughout this traditional Hawaiian home reflect the style of the historic elegant estates found throughout.